Having been born and raised in Castlegar, Tammy Verigin-Burk returned to the place she calls home after studying and working in the Lower Mainland and other parts of B.C. for many years. Going back to the southern Interior city that sits smack dab between Vancouver and Calgary wasn’t a difficult decision for the executive director of the Castlegar Chamber of Commerce. “I’m at the centre of everything,” says Verigin-Burk. “Everything I could possibly need is here, and we’re on the confluence of the Columbia and Kootenay Rivers, surrounded by mountains, skiing and golf. While affordability, natural beauty and outdoor recreation (boating, fishing, hiking, mountain biking, paddleboarding and more) are some of the draws for people seeking quality of life to this city of 14,000, so are business opportunities. Economic development in Castlegar is taking off. 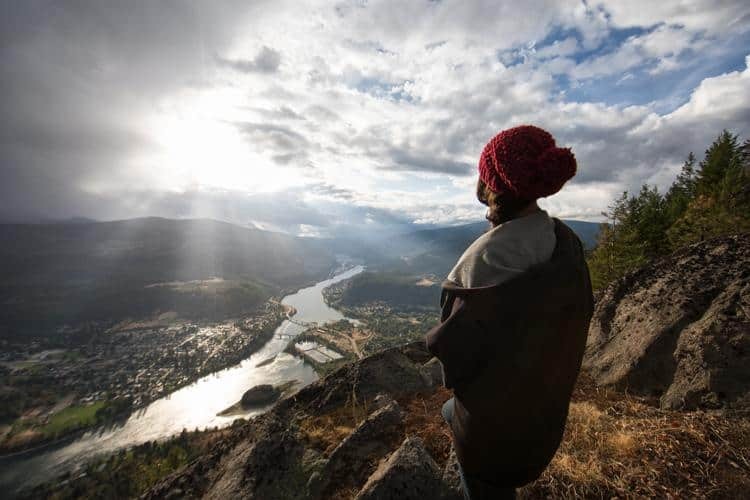 Situated 615 kilometres from both Vancouver and Calgary and a 30-minute drive to the U.S. border, Castlegar is the West Kootenay’s commercial hub for 69,000 people living in the Columbia and Kootenay River valleys. It’s also home to the West Kootenay Regional Airport, which has more than 74,000 annual visitors (and daily flights to Calgary and Vancouver). Forestry, hydro power generation, mining, transportation, education, tourism and education are the region’s key economic development drivers, but Castlegar’s business community is primed for diversity and growth. The Castlegar Chamber of Commerce, which has been recognized as 2018’s best chamber in B.C. by the BC Chamber of Commerce, has established Destination Castlegar, maximizing on its tremendous draws for visitors. There are provincial parks, natural swimming ponds, festivals and farm-to-table dining. 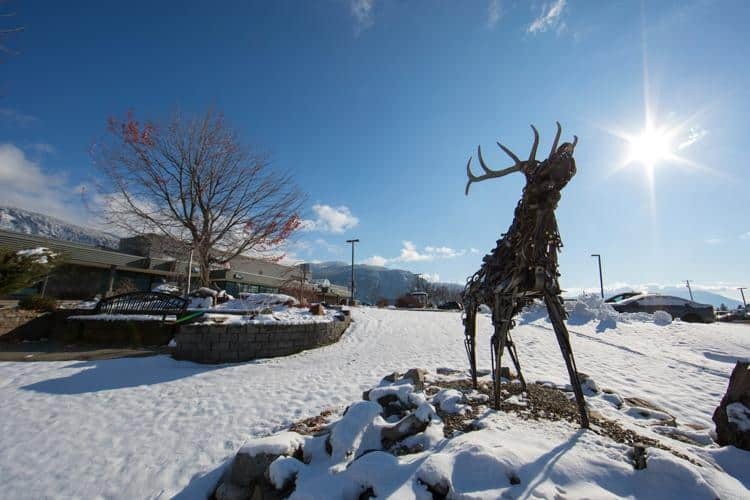 With a collection of dozens of pieces of public art, Castlegar is the sculpture capital of Canada. The chamber also established the Economic Development office, bolstering its position as a burgeoning, dynamic place to do business. Through government programs and innovative business partnerships, it is working proactively to support local ventures and stimulate continued economic growth. The past year or so has seen a dramatic shift in Castlegar’s retail landscape, for example, with more than a dozen new businesses taking root in the city centre. “Economic development is in full tilt,” Verigin-Burk says. “We worked with members and residents and had all these people generate ideas of what’s needed, what would drive people to go downtown, and how we can make it more vibrant. From September 2016 to June of this year, we had 17 of 26 empty storefronts and commercial lots filled. Since then, it’s only been growing and we only have a couple of spaces left. Growth is also happening in the form of orchards and hobby farms, outdoor-recreation enterprises, and independent, entrepreneurial, home-based businesses, which benefit from the region’s fibre-optic broadband connections. Creative content producers—those involved in art, digital media, writing and graphic design—feel at home here. Bolstering the burgeoning small-business scene are major economic drivers, such as Selkirk College. It’s one of the area’s largest employers, and its expanding enrolment adds more than $40 million annually to the local economy. It has an international program and one of the country’s top intercollegiate hockey teams. “There’s an interesting ripple effect: we have young people come here to attend school, and their parents end up investing in this community, buying commercial property or their own homes,” Verigin-Burk says. Castlegar’s population is made up largely of people aged 20 to 64 (61 percent). Twenty-one percent of residents are 19 and under, while 18 percent are aged 65 and up. In 2017, the median home price was $295,000, 72 percent lower than in Greater Vancouver. The median annual household income was $68,800 in 2016, higher than many municipalities in the Lower Mainland. Tourism is another driver: Castlegar has four nearby ski resorts, including Red Mountain and Whitewater, all less than an hour away. Municipal, regional, and provincial government agencies all have operations in the area. Then there’s forestry: Mercer Celgar, Interfor and Kalesnikoff are some of the largest private-sector employers in the area. Proactively expanding their markets, they now have significant revenues coming from Asia. With so much happening comes a challenge common to so many B.C. communities: housing. Whether it’s affordable housing for the city’s student population or condos or homes for high-income earners, Castlegar is ripe for new housing development, with many opportunities available to build. Other types of ventures that would thrive here include professional or consulting services, a small department store (or a place to buy kids’ clothing), and a craft brewery. Lease rates for commercial property run anywhere from $7 to $18 per square foot—unheard of in urban B.C. 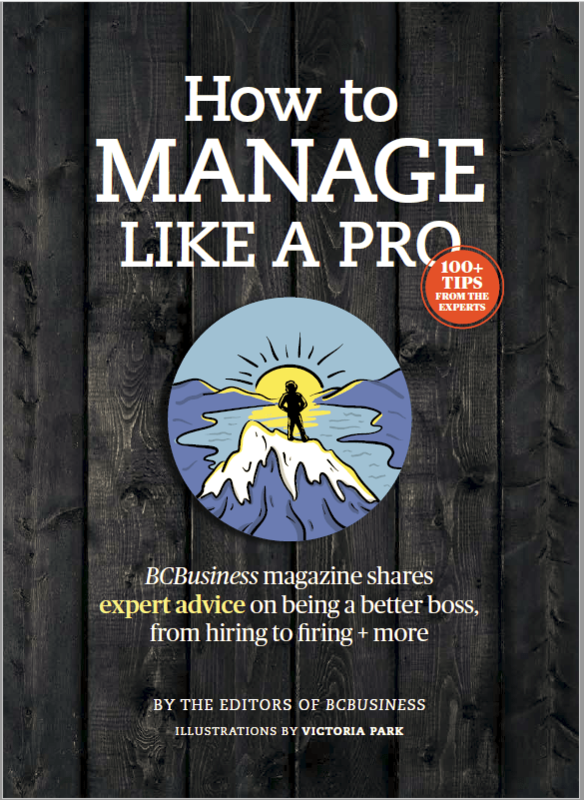 “Right now Castlegar offers an attractive entry point for relocating or starting a business in the area,” Barlow says. “Land costs, affordable living costs, and a continuing influx of trained, highly skilled workers chasing quality of life and wanting to live in the recreation heart of British Columbia gives Castlegar a competitive advantage over many other service centres. For more information, please visit Castlegar and District Economic Development at caded.ca.